There are times when you resolve to study, even if they come rarely. You sit in class with note-taking paraphernalia ready for action and you might even write down a word or two. But soon, as the class progresses, you start thinking about that new game you want to play or the pizza you had last night and fall into a reverie. You realize with a start that you intended on studying this semester and glance up at the board to find an entirely new set of symbols which barely make sense to you. At this point, you have two options. Either you make a miserable attempt at trying to study again, or whip out your phone, grab a similarly disenchanted classmate and try out these games we’ve got for you! Through the wall is an endless runner which is a lot of fun to play on your own but is made exponentially better if you can get a friend to join you. There is a local multiplayer mode as well as the option of playing it over WiFi. Again, a bigger screen is recommended if you want to try out the local multiplayer version. The game is essentially a reimagined version of snake where you dodge obstacles and collect points scattered across the level. Chain reaction is a minimalist game where you place your counters (which look like they came from a model of the atom) and watch them slowly overtake the other players’ counters. The game features a board which can accommodate up to 8 players and you can quietly pass the phone around in class and watch the tides turn as your opponents rise from a single counter to take over the board, all through chain reactions. 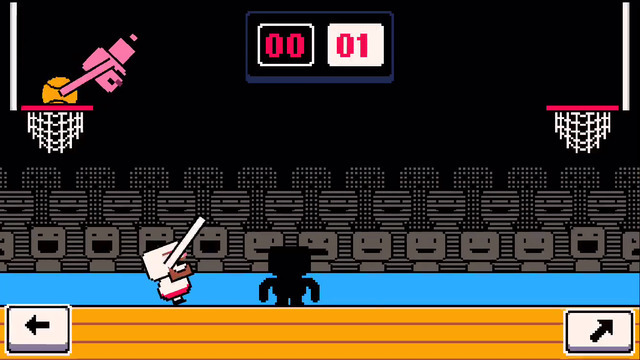 Dunkers is a game where you control extremely long-armed individuals in the hopes that they will eventually dunk a basketball into a hoop in a pixelated court. The graphics don’t make sense and you will find yourself desperately pushing the buttons while your character just flails its arms and doesn’t go where you want it to. The game has a local multiplayer version and is highly recommended for when you just can’t pay attention in class. Ever wanted to have a classic Western face-off with your friend? Put on your cowboy hat and pack your gun because it is time to prove that there can be only one sheriff in your town. Display your sharpshooting skills and sense of timing. Use the one-touch controls in the local multiplayer mode to fire your gun just when the clock strikes twelve. A little sooner, you lose, a little later, you die. 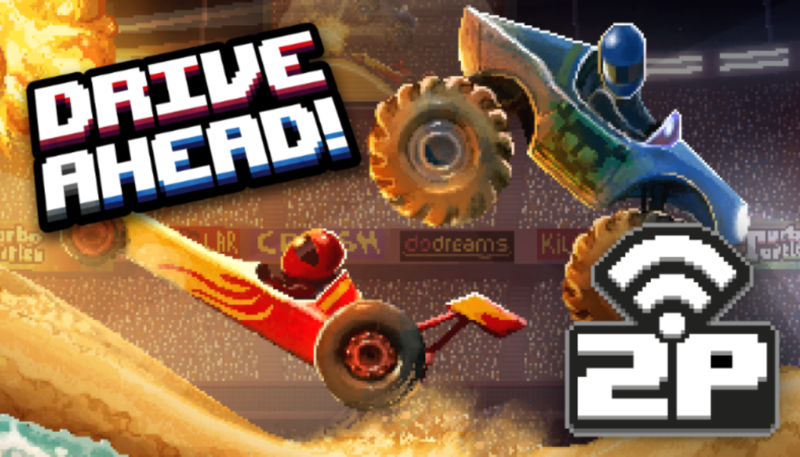 Drive Ahead is a violent game about driving a variety of vehicles (including a pram and a tank) with the sole motive of busting your opponent’s head. There is a huge range of tracks, vehicles and helmets which means that you’ll probably never get bored with this game. There is a soccer version with wonky physics which is especially fun to try to master. This game is incredibly suited to playing with a friend because it can be played over two devices if they are connected to the same WiFi (time to exploit that college WiFi). In case you don’t have access to WiFi, start a hotspot on one device and add the other one to it. There’s always the local multiplayer option if you are sitting right next to your friend. However, you’d need a phone with a bigger screen to really enjoy the game on the same phone. Start driving and watch your friend’s face fall in defeat and see them silently swearing to take revenge. These games should keep you up in class and make the day go by easier. However, be careful to not get caught by a nosey professor. The quest for gaming is fraught with peril and the authorities rarely approve. But go ahead, fight the Establishment and start your rebellion!